There are many options to choose from these days now that Bali has been put on the map with Julia Robert’s Eat, Pray, Love. You can experience your love in the rice fields of Ubud…and you can also eat healthy, organic, vegetarian and raw food at the same time! ZulaBoth Zula and Earth Café in Seminyak, Bali have the same owner and hence have similar items on the menu. Earth Café has more raw food options but Zula also has good salads, juices and smoothies. The main focus of both menus is on vegan, macrobiotic foods. Zula is located on Jalan Dyana Pura Number 5, Seminyak, Bali, Indonesia. Earth CaféMy personal favorites at this funky macrobiotic vegan restaurant are the Sprouted Wheatberry Salad and the Raw Soup. The salad is a great combo of greens and sprouted wheatberries with a tasty homemade dressing. The raw soup consists of shredded carrots, zucchini and raw veggies in a clear broth made from Bragg’s and water with ice cubes added to make it cold. 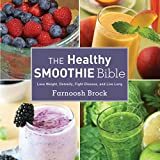 It may sound strange, but it tastes great and it’s a nice change from the standard blended raw soups. Located on Jalan Oberoi (near the Montesorri School), Seminyak, Bali, Indonesia. Once in Ubud, you can start to relax and make your experience whatever you want it to be – peppered with art, culture, dance, yoga, raw food, massage, jewelry, temples, shopping or just relaxing at a café taking it all in around you. You can easily stay for a week and enjoy a different restaurant every day. ClearThis restaurant is a good option for raw food, vegetarian food, ethnic food and ‘normal’ cooked food as well. It’s a good choice for dinner if you have a group of varied eaters in your party. The raw enthusiasts can try the Lifefood Pizza, made with a flaxseed and sundried tomato crust topped with mushrooms, tomatoes, red pepper and cashew pesto. For a local flair, enjoy the Rainbow Salad with jackfruit, mango, red pepper, basil, mint and almond butter dressing. Don’t forget to check out the toilet as well –it’s an interesting experience! Located at the top of Hanoman Street, Ubud, Bali, Indonesia. Sari OrganikTake a walk through the rice fields and you will end up at Sari Organik, a lovely restaurant complete with it’s own organic farm. Surrounded by rice paddies, it’s a picturesque setting and a great place to head after an early morning walk before the sun heats things up. The juices, salads and smoothies here are all delicious and the organic factor really makes a difference. Organic does taste better! Access to rice fields from Jalan Raya, Ubud, Bali, Indonesia. Little kLocated at the Yoga Barn, this raw food café has a full menu of items to choose from and a great view overlooking the rice fields and river below. They also have some cooked food options for breakfast and lunch and several healthy soups to fill you up after your power yoga class. Jalan Pengosekan, Ubud, Bali, Indonesia. KafeLook for their Raw Special of the Day at this trendy meeting place in the center of Ubud. There are some nice salads that can be ordered without cheese or tuna while adding avocado instead. 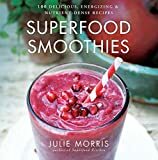 Try an array of juice and smoothie combos – they have some superfood smoothie blends and also an interesting turmeric shot. Jalan Hanoman, Ubud, Bali, Indonesia. SomaSoma is ‘the’ raw food place to see and be seen in Ubud. It has a rustic, cozy atmosphere and is usually full of health conscious MacBookPro fans eating their gourmet raw food delights and updating facebook pages all the same. Try the Belly Love Juice made from aloe vera, ginger, turmeric, kencur, irish moss, mint, tulsi, lime and honey. The Live Love Pasta is a yummy blend of zucchini noodles topped with capers, olives, tomato, bell pepper, fresh oregano, dehydrated shallots and cashew cheese topped with flax cracker. It’s a good option for lunch. Dewi Sita Street, Ubud, Bali, Indonesia. Coconut Philosophy – It’s What’s Inside that Counts! Coconuts are like people…the exterior husk is easy enough to break through, but then you have this tough layer to crack. You need the right tools to get people to divulge their sweet inner self..
What you find inside usually requires handling with care..
Getting to the juice is well worth it. Every person has a tender core that is protected by an exterior shield which has it’s purpose.. BUT IT’S WHAT’S INSIDE THAT COUNTS!! -I found that in Insight Bali Magazine…cute huh! Happy Coconut Love to Y’all! https://healthybliss.net/bliss/wp-content/uploads/2009/07/coconutphilosophy.jpg 283 424 Jennifer Betesh https://healthybliss.net/bliss/wp-content/uploads/2014/11/hb_logo_01.png Jennifer Betesh2009-07-10 07:46:272016-01-05 19:20:20Coconut Philosophy - It's What's Inside that Counts! A great time was had by all in Ubud this year at the second annual Bali Spirit Festival…I had an Iridology booth at the Dharma Fair this year for the first time, and I was really excited to see people interested in what I do and to feel the response from my Iridology readings. My intentions for coming to the festival were to network and get a feel of the ‘scene’ here in Bali and, all in all, I felt that those goals were met 🙂 I connected with some great people, many of whom are locals and are involved in the raw food, yoga, meditation, detox, cleansing, energy healing spiritual healing world in Bali. I also met some great people who happened to be here on holiday and were able to enjoy the festival as well. I’ve got several clips on youtube from the festival itself…I’ve included them below for your to enjoy! Bali Spirit went for 5 days from the 28 April to 3 May, 2009. I was so fortunate to have Alan as my friend, support and local guide during my time in Ubud, and also Monika who helped to take care of the booth, promote me and also be my videographer – Monika you did the best filming out of everyone so thank you!! The gathering was all about Yoga, Meditation, Movement, Spirituality and Health. My booth at the Bali Spirt Festival featuring Iridology Readings and Crystal Healing. I also did a lot of Crystal Readings as well – this is really a unique type of energy reading that I really love to do – be sure to try it if you see me in Ubud at Bali Spirit again! We also sold lots of 100% cotton sprout bags and crystal mineral spray deodorant – both top selling items at the event! Here I am talking about local foods that were available to eat at the festival so you can see for yourself the abundance of raw food love and organic, healthy Balinese fruits and vegetables. I think here I am dabbling in the free sample spirit of the festival…hehe and showing you the fresh local cacao grown in Bali as well as other organic foods for sale. Did I find more cacao? 🙂 Well I know how to enjoy a festival, that’s for sure! This was a great booth, full of locally grown raw cashews from Bali as well as cacao cashews snacks and a great Balinese sea salt for sale. Free samples? Yes! Lots! Come to the festival and see for yourself! Just in case you were wondering what the actual yoga events look like at Bali Spirit, I take you inside the gates so you can check out the vibe and hear some of the live music, perhaps getting a feel of the celebration for yourself! There is my awesome friend Alan in the background, a true free spirit and artist at heart – a great video just to see the Dharma Fair itself where the vendors are set up to sell their crystals, raw foods, jewelry, incense, clothes and of course food from the raw food restaurant Little K KAFE in Ubud and well as other local restaurants. Yum! If you want more information on the Bali Spirit Festival check out their website at www.balispiritfestival.com. In the midst of all that, we also had some fun time catching up and drinking gin and tonics…oops! but ok, I am on holiday here 🙂 and we even managed a visit at his friend’s amazing house, which is available for rent if anyone is interested and house $900 USD/night to spend (don’t all jump up at once! )…it’s amazing, check it out at Villa Pantulan. I will also be available for transition to raw food consultations. And, if I plan my weight restrictions well, I should have some fabulous crystals to sell including my favorite secret ‘manifestation’ stone. There should be some amazing raw foods there made by the Little K KAFE in Ubud – yum! Sounds like fun 🙂 🙂 Hope to see you there!! I can teach you to program, cleanse and use your crystal stone to begin the wonderful process of manifesting all of your true goals and intentions with your healing journey and your life! The festival runs from April 28th to May 3rd 2009 in Ubud, Bali. I am due to arrive in Bali on the 23rd April, so if any conscious souls would like to meet for an Iridology consultation or Crystal Therapy session in the days before the festival, please contact me by email and we can arrange to meet! Smile all you beautiful people, be content with your natural beauty and remember to enjoy the view!!!! !